ORION EMS ambulance service is committed to maintaining the best practices and highest standard of customer service and patient care. We know you have a choice when choosing your ambulance provider and we’re always ready to respond with immediate and efficient service for all your medical transportation needs. 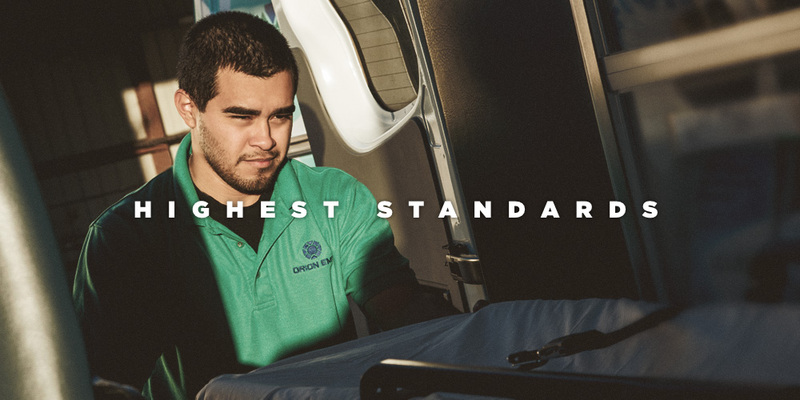 ORION EMS maintains the highest standards in patient care and transportation. We continually strive to be the top choice for patient focused and customer centered medical transport throughout the greater Houston area. You can depend on ORION EMS for all your medical transportation needs. We’ve earned an excellent reputation for providing fully equipped ambulances, highly skilled staff, efficiency and consistent quality service.